Food celebrate their 50th release by bringing you 3 new remixes of SL2’s classic, ‘DJs Take Control’. Aside from a Remastered original (exclusively cut to vinyl), we bring you 3 new takes on one of the most infectious Breakbeat-Rave tracks from 1991. DJ Boring takes you to another world with his stunning left-of-centre breakbeat excursion while Shadow Child provides a hypnotic-dreamy 4 to the floor workout. Slipmatt & Sooney’s 2018 update pushes all the peak-time House buttons, finishing off a remix package we’re proud to be involved in. “When Rave-hero Slipmatt approaches you with an update of one of your favourite tracks, you sit up and listen. You then work out that you can celebrate the 50th release on your own label in the most apt way possible, by returning to your roots!” - Shadow Child. 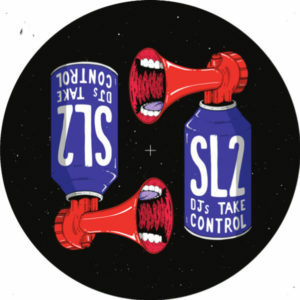 SL2 ‘DJs Take Control’ is out on vinyl via Food Music - 31st August 2018.